Come Home to Paradise! This kind of special property doesn't come along often...Just miles from town, this hidden retreat is situated on 40 rolling acres with views, Dry Hollow Creek frontage, wildlife, multiple pastures, a 3, 600 sq ft shop/barn, a pond, a great well, irrigation water and views galore. Inside the home you will find comfortable living spaces, an updated kitchen, main level master suite for a total of 4 bedrooms and 3 baths. 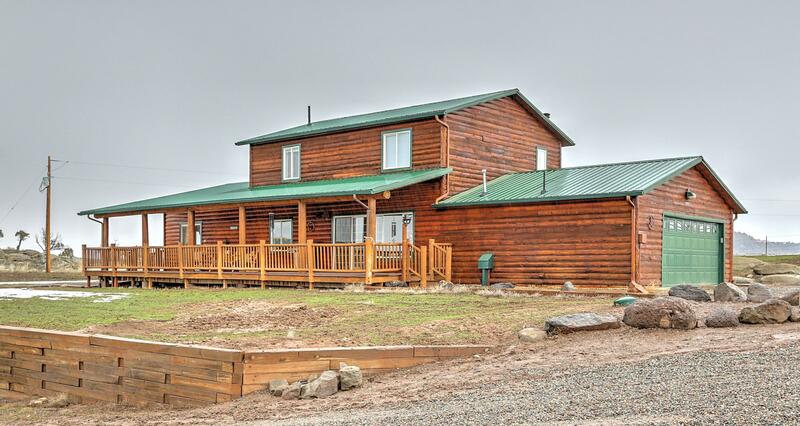 The home is well appointed with hardwood floors, granite countertops, stainless steel appliances, a wood burning fireplace with a stone surround providing the perfect combination of country and convenience. The spacious main level master suite offers two walk in closets, a soaker tub and shower and a door leading out to the back deck.